Last month, I got two days off from work for my summer vacation (my Australian friend told me, “Aya, that’s not a vacation but just day off!! 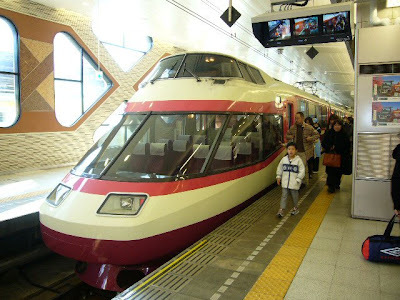 !” lol), and I went on a short trip to Hakone, 1 hour from where I live by the limited express train called “Romancecar”. The name comes from romance seats or pair-seats that are without the armrests between the seats (does that make it romantic?!). Here is the photo of Romancecar. 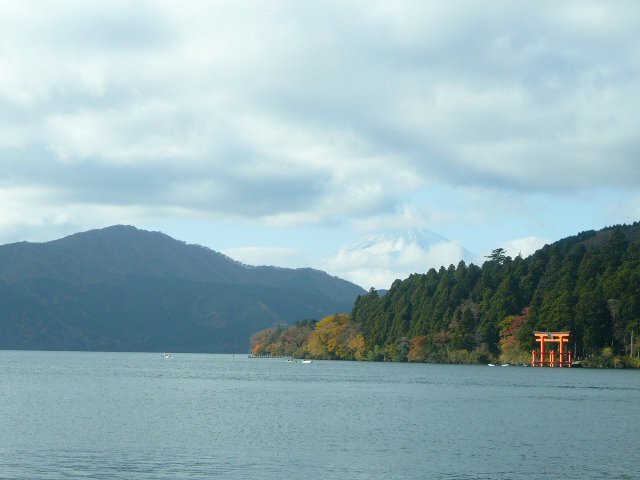 When we arrive at Moto-Hakone by the Lake Ashi, we were hoping to see the beautiful view of Mt. Fuji and Lake Ashi, but what we saw was...THIS! Ta-dah!!! It was too bad that we couldn't see the nice view, but maybe next time. Hakone is not too far from my city, so I can always go there anytime I want (only if I get vacation!) :) Did you do any traveling this summer? How long was your vacation?? Hope you had a wonderful summer!